April is National Minority Health Month, and we know that health includes mental health too. That’s why our #BeTheDifference topic of focus this month is cultural diversity and mental health. One study published in the International Journal of Health Services found that black and Hispanic young people were less able to access mental health services than white children and young adults, despite the fact that rates of mental illness are generally consistent across all ethnicities. But that’s just one example of a barrier diverse populations face when it comes to mental health. 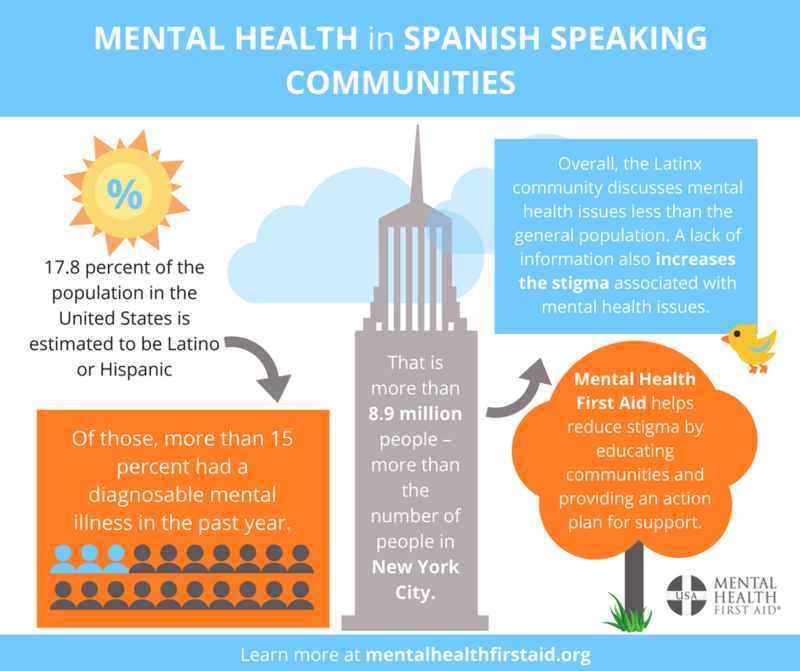 With Mental Health First Aid training, we want to do our part to help close that gap. Join the conversation. On Thursday, April 19, we’re hosting a #BeTheDifference Twitter chat on cultural diversity and mental health. Join us on Twitter from 2-3 p.m. ET to talk about the challenges diverse communities face when it comes to mental health and strategies for overcoming them. Read up. All month long, we’re writing about mental health and diverse communities on the #BeTheDifference blog. Like this one on Puerto Rico’s rising suicide rate in the wake of Hurricane Maria. Check back frequently and share with your networks. Share information. 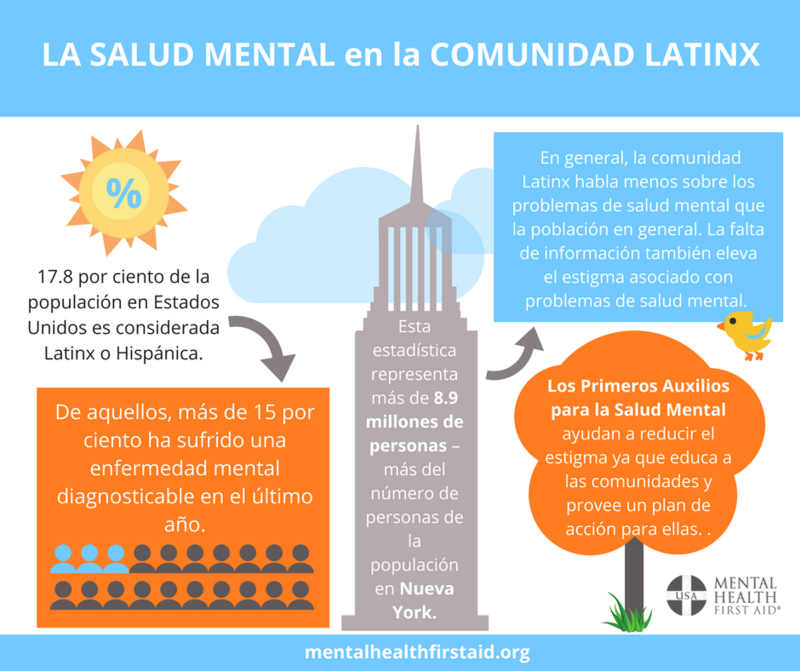 We’ll be releasing a new infographic on mental health and addiction issues facing diverse communities each week, like this one on mental health in Spanish-speaking communities (in Englishand Spanish!). These are great for sharing on social media. Become an Instructor. If you aren’t already a Mental Health First Aid Instructor, consider becoming one! Instructors—especially those in diverse communities—help address mental health disparities by teaching people how to notice and support someone who may be facing a mental illness or addiction, and what resources are available in the community to help. Share your story. Have an inspiring Mental Health First Aid story to share? Email Erica Hoffman at EricaH@TheNationalCouncil.org for a chance to be featured on the blog! As always, thank you for making a difference in your community with Mental Health First Aid.